It’s no secret that summer has arrived in British Columbia a little early this year, and that could not be more true for residents of Vancouver Island. The sun has been soaring for weeks on end, making for picture-perfect days on both the beach and in the mountains. 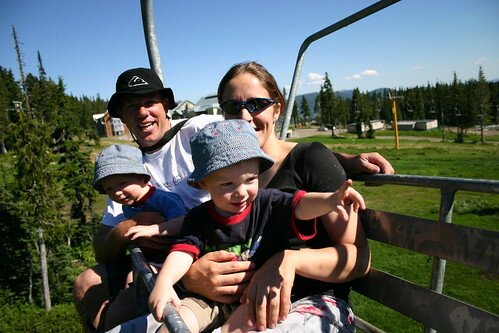 Just in time for both Father’s Day and Summer Solstice, the mile-high chair lift will start churning again on the now snow-free slopes of Mount Washington Alpine Resort. Mark this one on your calendar because dads ride the lift for FREE on Father’s Day! 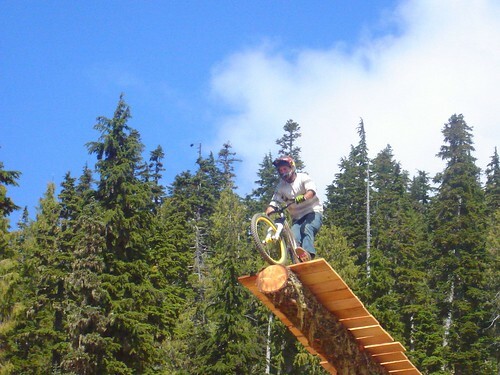 The summer season officially kicks off on Saturday, June 20 in advance of the mountain’s stellar Bike Park for mountain bike enthusiasts, opening on June 27. Not only is Mount Washington introducing new trails – including an expert trail known as Back in Black – riders this season will notice huge overall improvements. After being battered by endless months of snow, new dirt has been trucked in to improve rider flow while maintaining speed. That said, I know mountain biking isn’t for everyone and it’s certainly not something I’ve ever tried. Mount Washington jams all year long and not just when the snow falls. This year the end of August will be marked with a wellness retreat designed to nurture the mind, body and soul. …the retreat promises to be the perfect escape to the alpine with two days of beautiful meals and wellness classes that promote health and relaxation. Local experts will be on hand to pamper your senses through guided walks, health and nutrition seminars, and yoga classes. A summer on Mount Washington wouldn’t be complete without a handful of BBQs, a beerfest, mountain bike and disc golf tournaments, the annual wine festival (which yours truly will most definitely be checking out!) and so much more. For a complete listing of Mount Washington’s stellar summer happenings, check out their events calendar. Mount Washington Alpine Resort is open daily and located at 1 Strathcona Parkway, just minutes north of Courtenay – you can’t miss the signs on Highway 19. Call the mountain toll free at 1-888-231-1499 or visit their website for more information. You can also follow the mountain on Twitter! My friends chose Mount Washington as their wedding venue last summer – it was such a good time! Most of the guests stayed on the mountain, in the condos, which meant that we were up there for the entire day of the wedding and the night before so there was plenty of visiting. The mini-golf is super fun! it’s such a beautiful spot, I was glad to be up there in the summertime. I like how the mountains are now open year round for activities. We’ll be hitting up Whistler/Blackcomb definitely for some alpine hiking. Mt.Washington I thik would be cool but its a bit far (and expensive) for us. Trust me – it’s worth it! I’ll suggest taking a peak depending on time. I know we’re going to head up to Miracle Beach too. Cold Bevies is always a good idea!